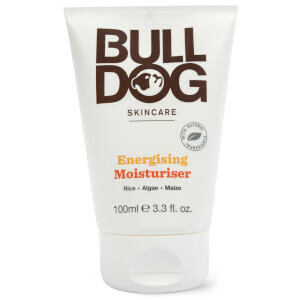 Treat tired, hard-working hands to the Bulldog Original Hand Cream; a fast-absorbing, non-greasy formula to soften, condition and moisturise dry, rough skin. 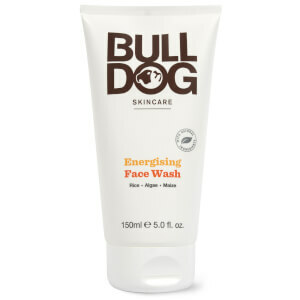 Powered by Glycerine, Jojoba and Vitamin E to protect and hydrate hands, the brand's unique blend of eight essential oils delivers a masculine fragrance of zesty Lemon, Lime and Bergamot, combined with Geranium and Patchouli and laid on a base of Cedarwood, Vetiver and Artemisia Vulgaris. Hands are smooth, comfortable and subtly scented without sticky residue. Apply to clean hands as required. 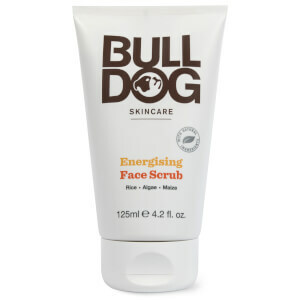 Do not apply to broken or damaged skin. Aqua (Water), Glycerin, Ethylhexyl Palmitate, Palmitic Acid, Cetearyl Alcohol, Simmondsia Chinensis Jojoba) Seed Oil, Stearic Acid, Coconut Alkanes, Pentaerythrityl Distearate, Sodium Polyacrylate, Phenethyl Alcohol, Caprylyl Glycol, Carbomer, Sodium Stearoyl Glutamate, Coco-Caprylate/Caprate, Tocopherol, Sodium Hydroxide, Citrus Aurantium Bergamia (Bergamot) Peel Oil, Citrus Limon (Lemon) Peel Oil, Artemisia Vulgaris Oil, Pelargonium Graveolens Oil, Pogostemon Cablin Leaf Oil, Citrus Aurantifolia (Lime) Oil, Evernia Furfuracea (Treemoss) Extract, Juniperus Virginiana Oil, Vetiveria Zizanoides Root Oil, Citronellol, Limonene, Linalool. In general good hand cream, hands feel soft and moisturized, but, to my mind, a little bit greasy.